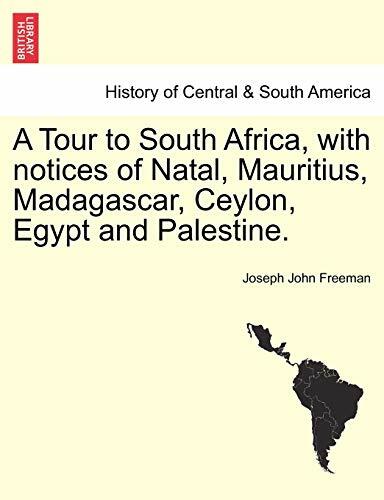 Joseph John Freeman A Tour to South Africa, with notices of Natal, Mauritius, Madagascar, Ceylon, Egypt and Palestine. A Tour to South Africa, with notices of Natal, Mauritius, Madagascar, Ceylon, Egypt and Palestine. Title: A Tour to South Africa, with notices of Natal, Mauritius, Madagascar, Ceylon, Egypt and Palestine.